Disney has unveiled the emotional new trailer for fishy sequel Finding Dory. 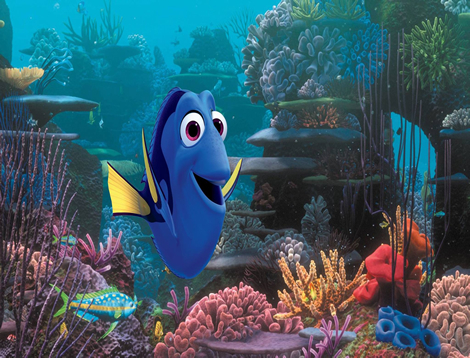 Dory (Ellen DeGeneres) is the forgetful blue tang who’s happily hanging out with previous MIA clownfish Nemo when she starts to remember that she too had a family – and now she longs to find them. The new trailer see Dory captures and taken to the Marine Life institute where she meets a hyperactive Octopus (Ed O’Neill), a near-sighted Whale Shark (Kaitlin Olson) and a shy Beluga whale (Ty Burrell), who want to help her find her folks. Don’t worry, though – the trailer features some amusing sealions to soften the blow. Finding Nemo’s Andrew Stanton returns to direct – Disney Pixar are going from strength to strength, so we fully expect tears to be jerked. Finding Dory is out in cinemas on July 29.